[...] In the United States in recent years, one frequently has heard this type of justification for the stratospheric pay of supermanagers (50– 100 times average income, if not more). Proponents of such high pay argued that without it, only the heirs of large fortunes would be able to achieve true wealth, which would be unfair. In the end, therefore, the millions or tens of millions of dollars a year paid to supermanagers contribute to greater social justice. This kind of argument could well lay the groundwork for greater and more violent inequality in the future. The world to come may well combine the worst of two past worlds: both very large inequality of inherited wealth and very high wage inequalities justified in terms of merit and productivity (claims with very little factual basis, as noted). Meritocratic extremism can thus lead to a race between supermanagers and rentiers, to the detriment of those who are neither. 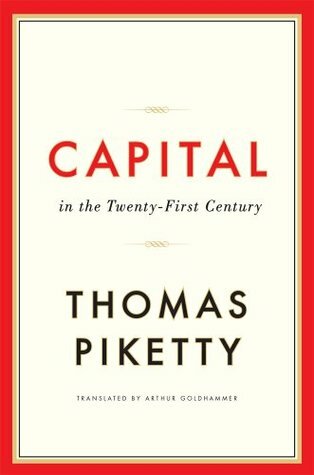 The problem posed by this use of the word “rent” is very simple: the fact that capital yields income, which in accordance with the original meaning of the word we refer to in this book as “annual rent produced by capital,” has absolutely nothing to do with the problem of imperfect competition or monopoly. If capital plays a useful role in the process of production, it is natural that it should be paid. When growth is slow, it is almost inevitable that this return on capital is significantly higher than the growth rate, which automatically bestows outsized importance on inequalities of wealth accumulated in the past. This logical contradiction cannot be resolved by a dose of additional competition. Rent is not an imperfection in the market: it is rather the consequence of a “pure and perfect” market for capital, as economists understand it: a capital market in which each owner of capital, including the least capable of heirs, can obtain the highest possible yield on the most diversified portfolio that can be assembled in the national or global economy. To be sure, there is something astonishing about the notion that capital yields rent, or income that the owner of capital obtains without working. Th ere is some- thing in this notion that is an affront to common sense and that has in fact perturbed any number of civilizations, which have responded in various ways, not always benign, ranging from the prohibition of usury to Sovie-style com- munism. Nevertheless, rent is a reality in any market economy where capital is privately owned. The fact that landed capital became industrial and financial capital and real estate left this deeper reality unchanged. Some people think that the logic of economic development has been to undermine the distinction between labor and capital. In fact, it is just the opposite: the growing sophisti- cation of capital markets and financial intermediation tends to separate owners from managers more and more and thus to sharpen the distinction between pure capital income and labor income. Economic and technological rationality at times has nothing to do with democratic rationality. The former stems from the Enlightenment, and people have all too commonly assumed that the latter would somehow naturally derive from it, as if by magic. But real democracy and social justice require specific institutions of their own, not just those of the market, and not just parliaments and other formal democratic institutions. If we are to make progress on these issues in the future, it would be good to begin by working toward greater transparency than exists today. In the United States, France, and most other countries, talk about the virtues of the national meritocratic model is seldom based on close examination of the facts. Often the purpose is to justify existing inequalities while ignoring the sometimes patent failures of the current system. In 1872, Emile Boutmy created Sciences Po with a clear mission in mind: “obliged to submit to the rule of the majority, the classes that call themselves the upper classes can preserve their political hegemony only by invoking the rights of the most capable. As traditional upper-class prerogatives crumble, the wave of democracy will encounter a second rampart, built on eminently useful talents, superiority that commands prestige, and abilities of which society cannot sanely deprive itself.” If we take this incredible statement seriously, what it clearly means is that the upper classes instinctively abandoned idleness and invented meritocracy lest universal suffrage deprive them of everything they owned. One can of course chalk this up to the political context: the Paris Commune had just been put down, and universal male suffrage had just been reestablished. Yet Boutmy’s statement has the virtue of reminding us of an essential truth: defining the meaning of inequality and justifying the position of the winners is a matter of vital importance, and one can expect to see all sorts of misrepresentations of the facts in service of the cause. [...] If the tax system is not made more progressive, it should come as no surprise that those who derive the least benefit from free trade may well turn against it. The progressive tax is indispensable for making sure that everyone benefits from globalization, and the increasingly glaring absence of progressive taxation may ultimately undermine support for a globalized economy.